This sounds challenging and daunting, I know, however there are ways of how you can always achieve your and your critically ill loved one’s goals whilst your loved one is critically ill in Intensive Care. First of all, lets imagine a couple of the most common scenarios if your loved one is critically ill in Intensive Care, where you think that achieving what you want is far out of sight. You see, one thing that I learned over the many years in Intensive Care, when supporting Families of critically ill Patients in Intensive Care through difficult and heartbreaking situations, including challenging end of life situations is that the only thing that stands between you and achieving what you want in your difficult situation is your mindset. However, your mindset is absolutely critical in your difficult situation and it’s often the only thing you can control. The feeling of powerlessness and the feeling of having no control in your situation is so overwhelming that you can’t even contemplate that there is a solution to the dilemma. The solution to the dilemma is less obvious and counterintuitive and it’s nevertheless a solution that is powerful and it turns the situation around. It’s very often frightening and confronting if you all of a sudden start to see that there is a solution to your and your critically ill loved one’s dilemma and it all starts with you claiming your power and your level of influence back! The minute you’ve entered the doors to Intensive Care, you felt like you’ve given your power, control and influence away and now is the time to claim it back. You claim it back, by being crystal clear of what you want for your critically ill loved one. That could be as simple as making sure that your critically ill loved one is comfortable and pain free. It could be as simple as making sure that you and your Family make the decision of what you know is in the best interest of your critically ill loved one. After all, you know your loved one best and you would have the best understanding what he or she would want in the situation that he or she is in. You would want to know that the treatment he or she is getting is exactly the treatment that your loved one would choose to get if he or she was in a position to make their own choices. Sometimes, the Intensive Care team might suggest treatment that you may or may not be comfortable with. Therefore, be crystal clear on what your loved one would want if he or she can’t make up their own mind. Don’t let the Intensive Care team push you in a direction that you don’t want to go and that you don’t feel comfortable with. Take your time to think things through. The Intensive Care team often bases treatment decisions on latest research, politics that are happening within the unit, the budget available within the unit, the culture within a unit and also on their individual values and all of those factors often don’t align with what you, your Family and your critically ill loved one want. It is so important that you feel that you have power, control and influence in your situation and you also need to know that you have enough knowledge and power to make decisions in your situation. The biggest mistake that you can make is to think that just because you are not a doctor or a nurse in Intensive Care that you can’t get involved in the decision making process. That’s what you often hear from the team in Intensive Care. In fact, the best decisions are usually made when the Family of a critically ill Patient in Intensive Care gets actively involved in the decision making process. Otherwise, decisions are far too often based on research, politics, the budget and the culture within a unit, often leaving Family and Patient values too far out of sight. So what does it exactly look like to always get what you want in Intensive Care? It could be as simple as making sure that you and your Family have peace of mind by having enough time to say good bye to your critically ill loved one if he or she is dying. Often end of life situations can be hastened and rushed and Families don’t get enough time to say good bye, leaving without that critical peace of mind. This may sometimes happen because the Intensive Care Unit is in a rush to make the bed available for the next admission already awaiting ICU admission. After all, ICU beds are scarce. 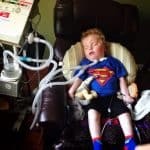 Furthermore, it also could be that if your critically ill loved one is expected to stay in Intensive Care for a long time that he or she gets a quiet side room and also gets regular showers and/or visits outside as soon as his or her condition allows. Again, a lot more is possible if you simply ask for it! Don’t be afraid to ask and sometimes those little things can make a big difference for your critically ill loved one and for you and for your Family. THE 7 ANSWERS TO THE 7 MOST FREQUENTLY ASKED QUESTIONS IF YOUR LOVED ONE REQUIRES VENTILATION WITH TRACHEOSTOMY IN INTENSIVE CARE/LTAC! How does it exactly work? 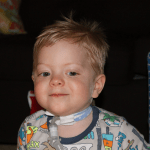 From PICU to home, a toddler approaching end of life at home! Looking after ventilated patients with tracheostomies at home is like flying like a plane, you can only do it with skill and expertise! False economy and no quality of life! Keeping long-term ventilated Patients in ICU for longer than needed! 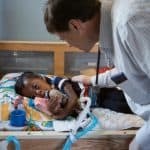 5 things you can do right now to get your loved one home and out of ICU/PICU if they are long-term ventilated! 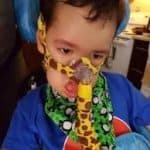 INTENSIVE CARE AT HOME nursing services for a medically complex and ventilated toddler, making a seamless transition from hospital to home to free up hospital beds! Mary in her late sixties spent the last year of her life at home despite being intermittently ventilator dependent and on Chemotherapy! A young client was going back to Intensive Care regularly! INTENSIVE CARE AT HOME put a stop to it, immediately!